I don’t think anyone can disagree with the statement that cupcakes are one of the best foods on this earth. Think about it, it’s a tiny handheld portion of cake, thereby making it the most adorable dessert on this planet. 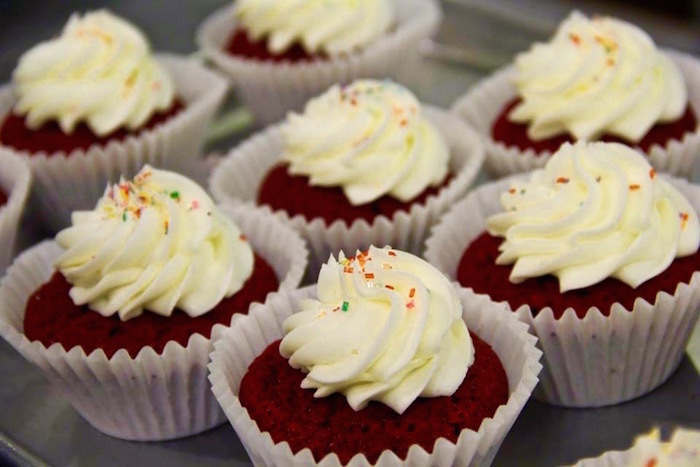 Besides the fact that cupcakes are adorable, they’re also freaking delicious. And Tallahassee’s own Lucy and Leo’s Cupcakery has actually made me love cupcakes even more than I already did. After trying their cupcakes for the first time this year, I knew that I had to let the whole world know how amazing Lucy and Leo’s actually is. Here’s why you should pay them a visit. Before a couple of weeks ago, I had only driven past their charming shop on Thomasville Road and admired it from afar. One Friday, I decided to have a “treat yo’self” kinda day and actually stop in to see if their cupcakes were up to par. I decided to try a flavor called Champagne Raspberry and I’m not exaggerating when I say that the cupcake I tried that afternoon was the best cupcake I had ever had in my entire life. It was perfectly moist and had such a unique and delightful flavor. 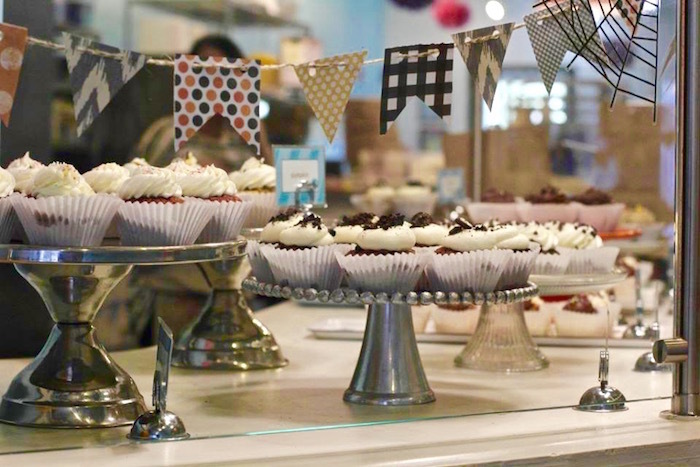 One of the things I love most about Lucy and Leo’s is that they have seasonal cupcakes in addition to their staples. This fall, they’re offering flavors like Apple Pecan Spice, Pumpkin, and Sweet Potato. I’m a sucker for flavors that correlate with a certain holiday or time of year, so you know I’ll be back in the winter, spring, and summer to see what’s available. If you didn’t know, Lucy and Leo aren’t the owners’ names; the store is actually named after two dogs. When the owners Jean and Paula were trying to think of a clever name for their cupcake shop, they ultimately decided that the name of their dog, Leo, and the name of their next door neighbor’s dog, Lucy, would pair perfectly to create the catchy name we all know and love. I would say that this was a very smart decision on their part. The alliteration with the double L’s really makes the name just roll of the tongue. 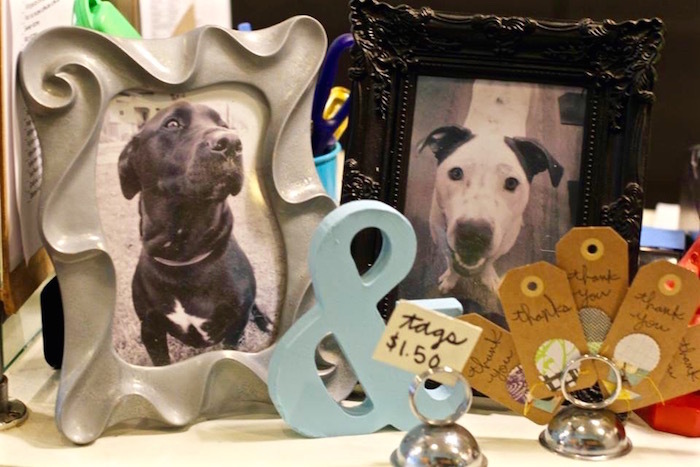 Plus, who wouldn’t love a shop named after a couple of cute pooches? If you ever find yourself at the famous Food Truck Thursday held every week, be sure to check out the Lucy and Leo’s truck for a sweet ending to your time spent at the beautiful Lake Ella. I have never actually attended a Food Truck Thursday, but now that I know Lucy and Leo’s will be there, I’m probably going to have to set a date to go because let’s be honest, I need to get my hands on these cupcakes anyway I can. Lucy and Leo’s recently started delivering to the Tallahassee area and I don’t know about you, but I’m not sure when I last heard news that was this exciting. This would be the PERFECT surprise for your BFF, boyfriend, sorority sister, or anyone else who lives in Tallahassee that you at least moderately like. I promise you that whoever it is and whatever the occasion (or non-occasion), you will be their favorite person in the world if you send them Lucy and Leo’s cupcakes. They even offer an option to send balloons with the cupcakes to make the delivery extra special. I know that balloons and cupcakes on my birthday would be the key to my heart and would also make for the perfect surprise (hint to all my friends and fam reading this). 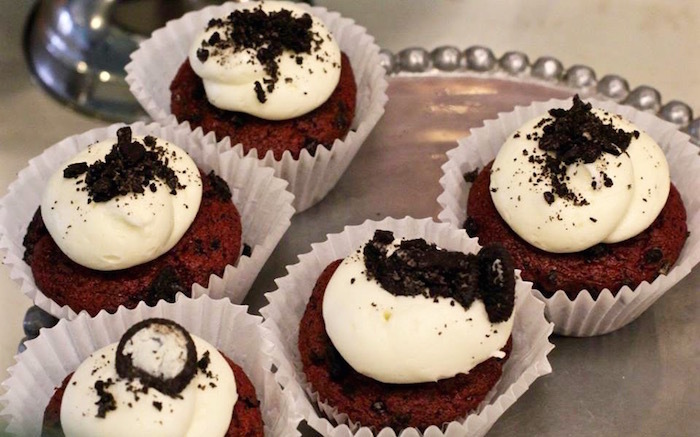 In case you needed one more reason to be completely convinced that Lucy and Leo’s is the coolest cupcake shop around, they recently launched their own app. The app allows users to do things like view the flavors that are available that day, take advantage of the loyalty program they have, and easily access all of Lucy and Leo’s social media platforms. The best part about this is that the app is totally FREE, and we all know how much college students love free things. 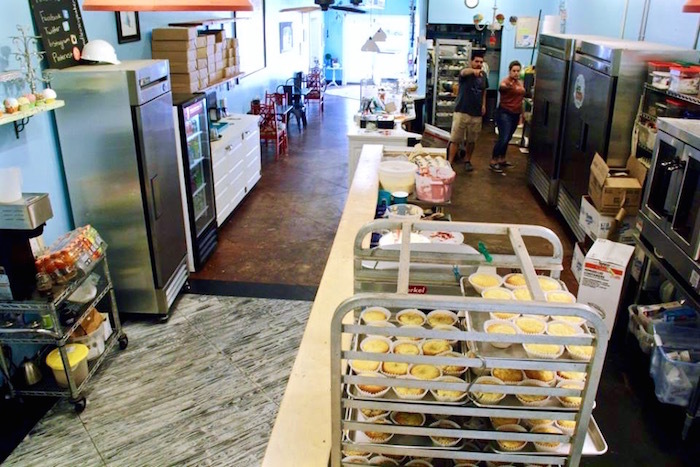 Be sure to drop by Lucy and Leo’s Cupcakery at their TWO locations; they just opened a new shop Uptown if you’re ever in that area. You will not be disappointed and your stomach will be super happy with you.